Dan O'Brien Kia Group welcomes New Hampshire drivers from Manchester, Pembroke, Loudon and beyond to shop and visit our two dedicated Kia dealerships for their next new or used car. With full-service Kia dealerships located in Concord and North Hampton, NH, local drivers are never far from securing financing for a new Kia Sorento, or visiting for professional auto maintenance for their Kia Soul. 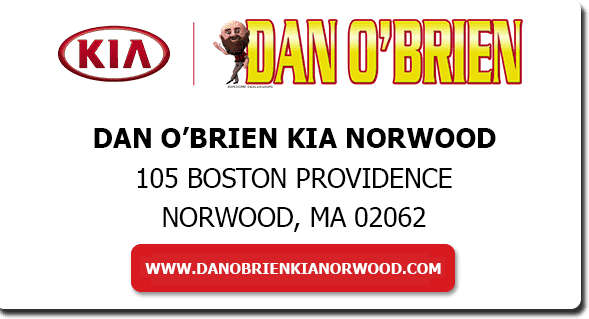 No matter what Kia vehicle or automotive services you are after, count on the dealerships of Dan O'Brien Kia Group to be here for you. Do not hesitate to contact our team today or visit us at your convenience. North Hampton and Concord, NH area car buyers can shop our complete collection of new and pre-owned Kia vehicles for sale here on our website. Our competitive prices extend from our selection of new Kia models to quality used Kia vehicles like our pre-owned Sportage and Soul crossovers in stock. We also offer used car options from a range of automakers to give you more choice in finding your next vehicle at a low price! Financing your new Kia or used car purchase should be as easy as shopping for your next vehicle. Here at the Dan O'Brien Kia Group, we provide a stress-free car shopping and financing process, thanks to our dedicated finance staff and convenient online auto loan applications. Turn to our team no matter if you have a healthy credit rating or a less than perfect credit score; we'll help you explore loans for your used car purchase! 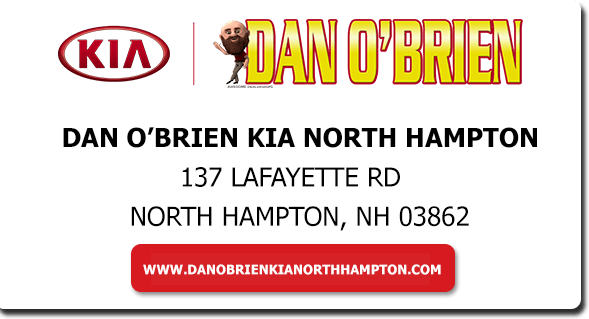 The Dan O'Brien Kia Group dealerships in Concord and North Hampton are here for New Hampshire Kia drivers with continued service through our professional auto maintenance staff and parts team. 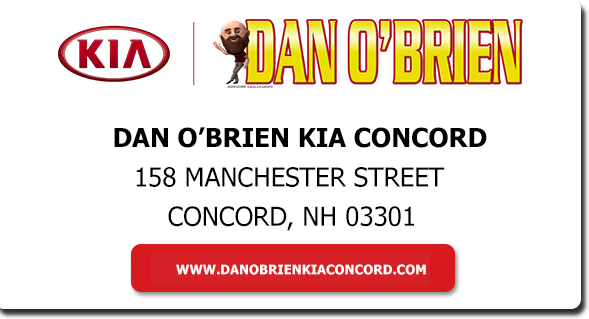 Whether you are from nearby Pembroke or Manchester, NH, there is a Dan O'Brien Kia service center that is ready to cater to your every automotive maintenance or repair need! With our Kia factory-trained technicians and genuine OEM parts for your Kia, why take your vehicle anywhere else?